The Loi Krathong Festival is a held during the flood season on the last full moon in November, the festival centers around floating a krathong into a lake or river when the moon is full and tide is high. The krathong is made from natural materials- banana trunk and leaves or coconut are the base and make it float, it is decorated with flowers, candles and incense. It is a celebration, you light the candle and incense and float your krathong. The moon is full, all the floating candles are beautiful on a lake or river. 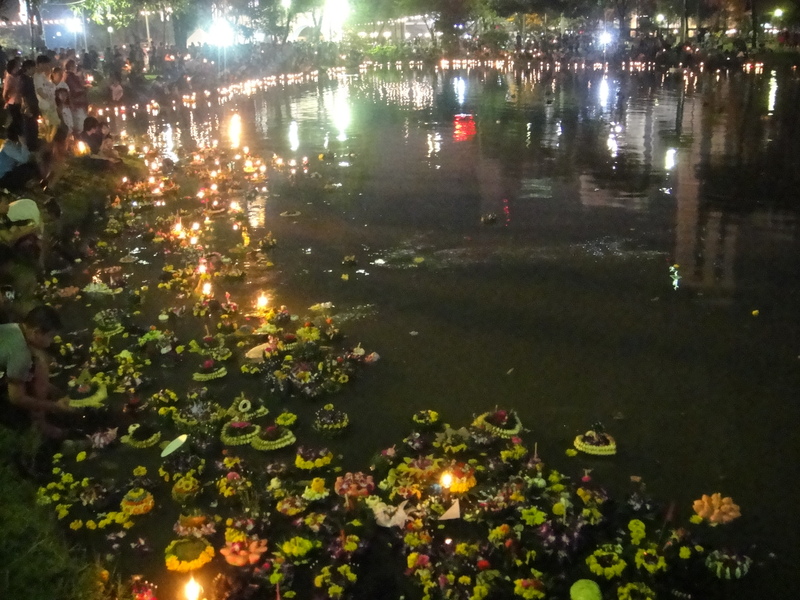 The floating of a krathong meant different things through history- from asking for forgiveness for drinking water to worshiping the footprint of Buddha; today the festival is more about floating a krathong to wish away misfortune, you are floating away a sin or making a wish that will be buried at the bottom of a river or lake. I wasn’t overly motivated about the festival, it sounded a bit silly. I was wrong, I walked to Lumpini and was surprised at the beauty of the krathongs and the enthusiasm of large crowd. I will go back and recommend it for any local of someone on holiday. 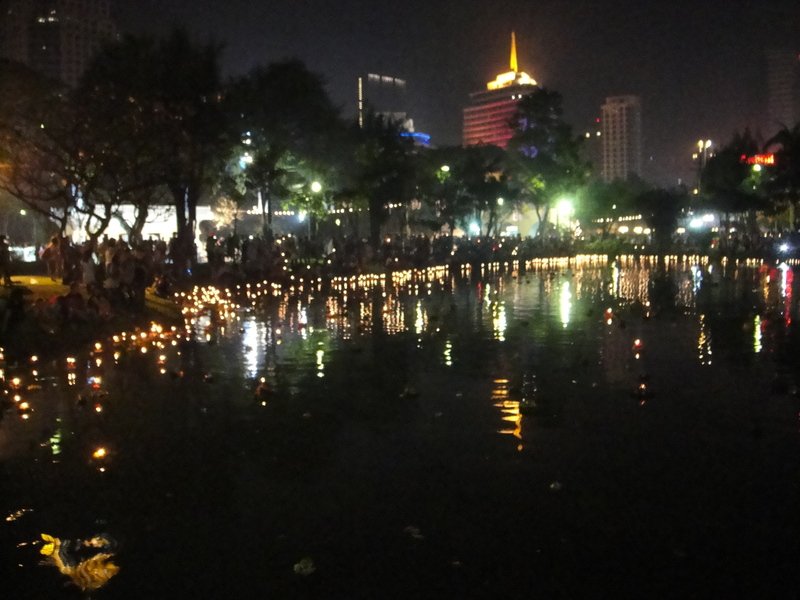 This entry was posted in Bangkok, Culture, Sightseeing, Thailand and tagged Bangkok, current events, Farang, Floating Candle, Loi Krathong Festival, Lumpini Park, sightseeing, Thailand, Thailand Travel. Bookmark the permalink.